Fragrant, flagrant, seductive and sensual, the fleeting blossoming of brilliant colours, subtle hues, and shades, teasing shapes designed for display. Reflecting the curves and lines of femininity yet also coy and coquettish, they open up only when they desire, tease us with their beguiling potential. Christina loves flowers in every stage of their brief but brilliant lives, equates them with the women she also admires. Bringing out the natural beauty is her mission and the metaphor of the female form and the blooming flower, strong, natural, vivacious, mysterious and infinitely varied is the theme of this little exploration. Christina has produced a follow up to Stolen Glimpses. 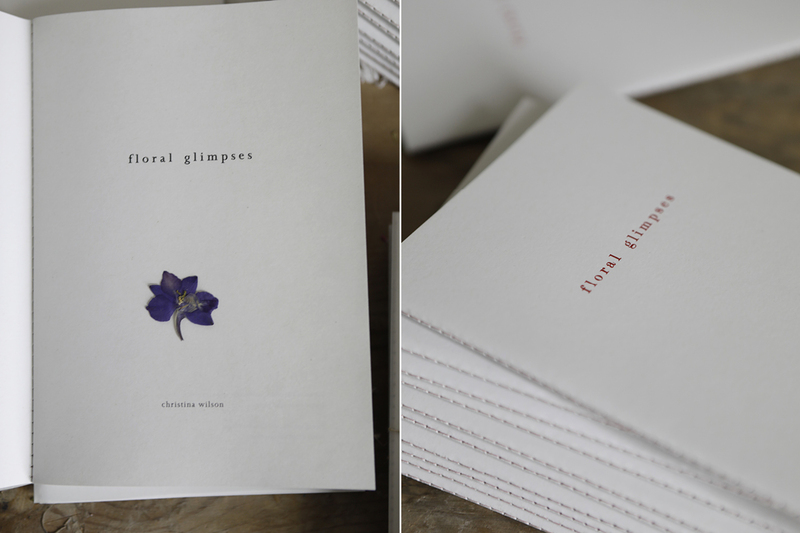 This time her eye settles on flowers and femininity. 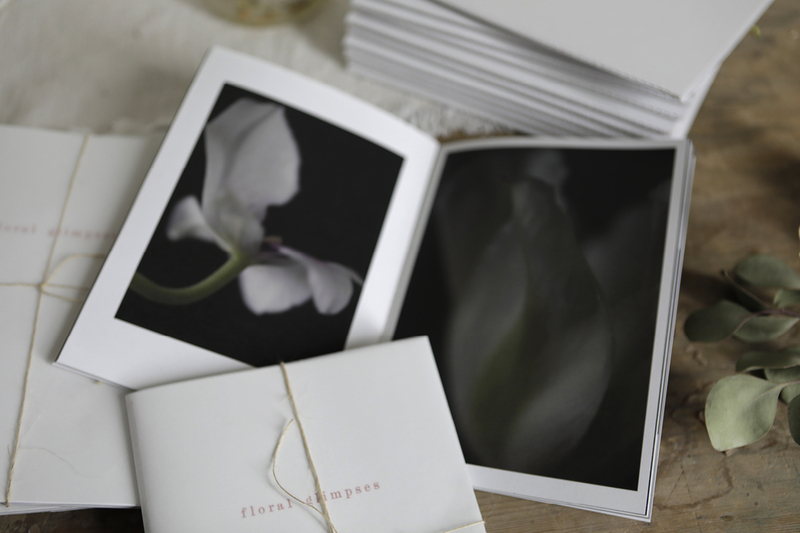 Floral glimpses is a small, gift sized and gift priced, but still exquisitely produced book. 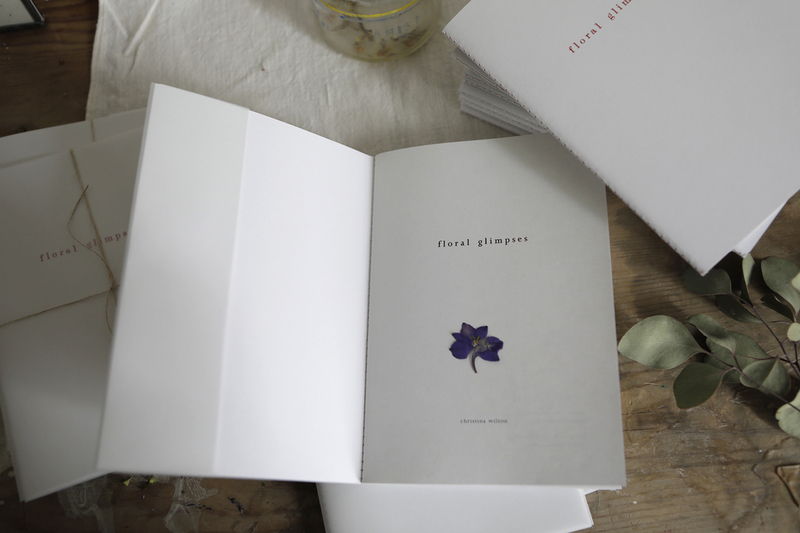 A sumptuous essay on the beauty of nature at its most alluring, this craft produced, machine sewn 40 page book, printed on reclaimed paper is a tiny delight. 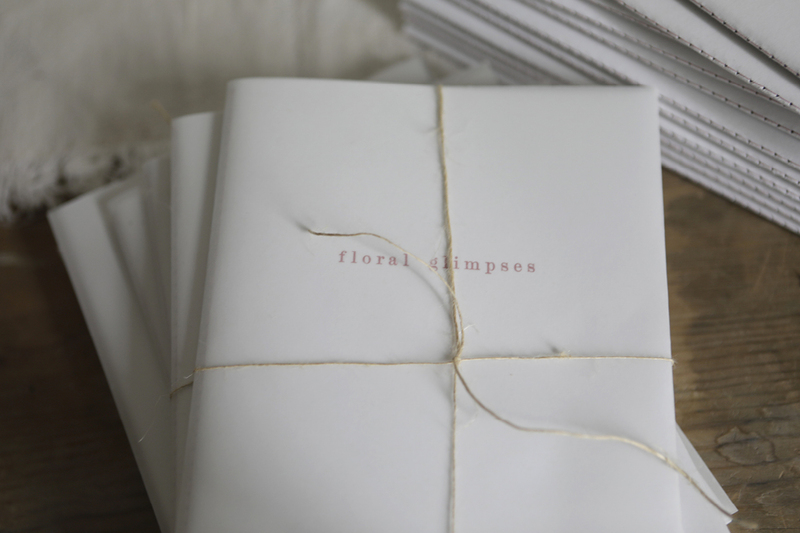 A5 size, translucent loose cover, hand drawn bookmark, digitally printed on recycled paper, machine stitched binding, foiled blocking title on cover. 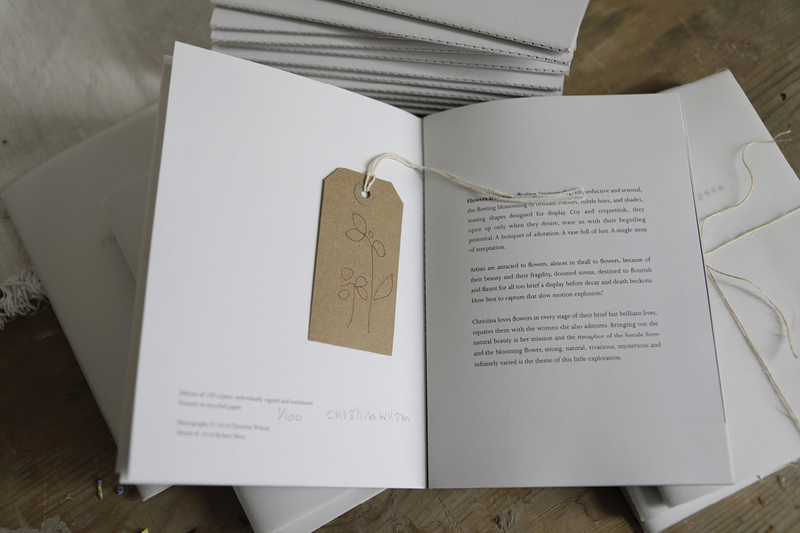 A limited edition of 100 all individually signed and numbered. 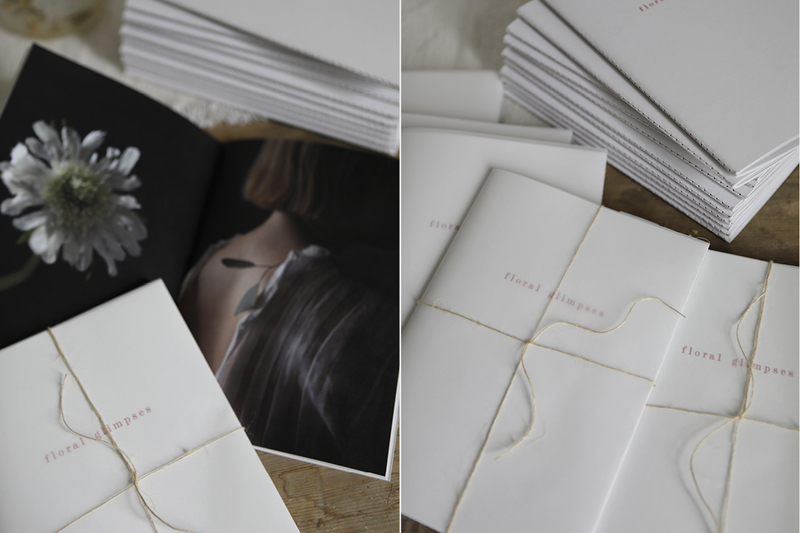 Photographs copyright Christina Wilson. Words by Robert Elms. £2.50 P&P for UK (other countries on request).